Before I can share my thoughts on Veronica Mars the movie I am going to let you read an old review of mine I wrote in 2007 of the TV Show Veronica Mars (2004) on IMDB. Since it will be essential in my assessment. Terrific first season, a solid second season and very confusing third one. After seeing the first episode of Veronica Mars I was hooked. I had to watch all the other episodes and did. The combination of drama and mystery was unique and original. The main arch was full of twists and turns and offered a thrilling experience. The writing was very clever. And thanks to the wonderful characters it was even more enjoyable. We saw different sides of the many characters we get introduced to. It is not crystal clear who is good or bad. They are just like real people. (Of course most of the events are far fetched, but because of the actors very acceptable.) Kristen Bell did an excellent job as the young, intelligent but flawed private eye. For me it could have ended with the first season. It ended powerfully and concluded nicely. The second season was quite good but did suffer from decline in the clever writing department. The only reason for me to still keep watching was because of the interesting characters. Then the third season. It had it's moments. But it was clear that Veronica Mars never would be the powerful mystery drama like it was in the first season. Sure there were some interesting cases but the focus seemed to be more on the melodrama and for that reason it was more of a high quality soap opera. I thought that the last episode was very unsatisfying and didn't connect well with previous episodes. And also very confusing as it was clear that Veronica Mars wouldn't be renewed! So why end it like this? Also the ending seemed to be rushed and ended very negative. We didn't get to see how the characters end up. At least in the previous seasons the ending were more positive. Very disappointing. 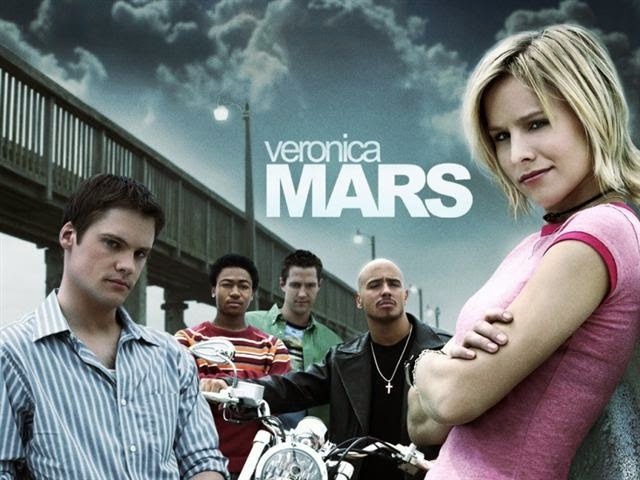 Overall I think Veronica Mars is an original take on detective shows with very charismatic and interesting characters. For once I agree with this show being canceled since the prospect of this show, becoming as good as the first season, was never to be expected. With the three seasons it had a good run and we should cherish that! Now after having seen Veronica Mars the movie all I can say is that sometimes it is better to leave things as they were and move on. Don't get me wrong. I normally applaud any initiative to bring closure to abruptly ended shows. But if this is the result then it does more harm than it does good. I think a lot of people who invested money in this kickstarter project must feel robbed. Veronica Mars the movie brings us back into contact with Veronica Mars who is about to get a job offer from this prestigious law firm. Veronica Mars is a lawyer? That is like the first thing that will make fans scratch their heads. Because that is so out of character but funnily enough not a fact that is hard to accept. What got to me the most is that the interactions between the characters felt like those interactions you have on reunions. Awkward and uneasy. Only in two scenes it gave you that old Veronica Mars vibe where things felt familiar. This is a real shame since the way Veronica interacted with them is what made the show so special. Kristen Bell was and still is the main attraction. But it is not enough, certainly when the mystery that needs to be solved has to be one of the dullest ever. They weren't even trying to make it slightly interesting. Even in the third season of the show were things were slippin they had better writing. I tried real hard to stay focused and was looking forward to be surprised as the show was capable of doing so many times. Only that did not happen. The intrigue was put on hold to reintroduce us to Veronica's character without providing depth she did have in the show. Then there is hardly any throwback to how things ended. Or why things ended like they did. If the purpose was to bring closure then why not explain it properly. To then joke about it almost felt disrespectful to fans who certainly deserved more and better after investing their own money into this project. Does the ending of this film give closure? Sort of. Is is a satisfying one? Well, I am not really out on that one yet. Let me just say I expected that it should have ended on a stronger note. Overall for me the viewing experience was very disappointing since this movie does not even touch upon the same magic the show had. In my opinion if you want to treasure your love for the show then skip on this movie. Non fans don't even have to try to watch it since the movie requires you to have seen the show.